Pianist Jerry Vezza and singer/songwriter Grover Kemble celebrate their more than 25 years of musical partnership with a concert they are calling “Tales and Tunes Together.” This engaging duo has shared many musical experiences which they will showcase, joined by bassist Rick Crane, drummer Tom Sayek, and saxophonist Anton Denner. 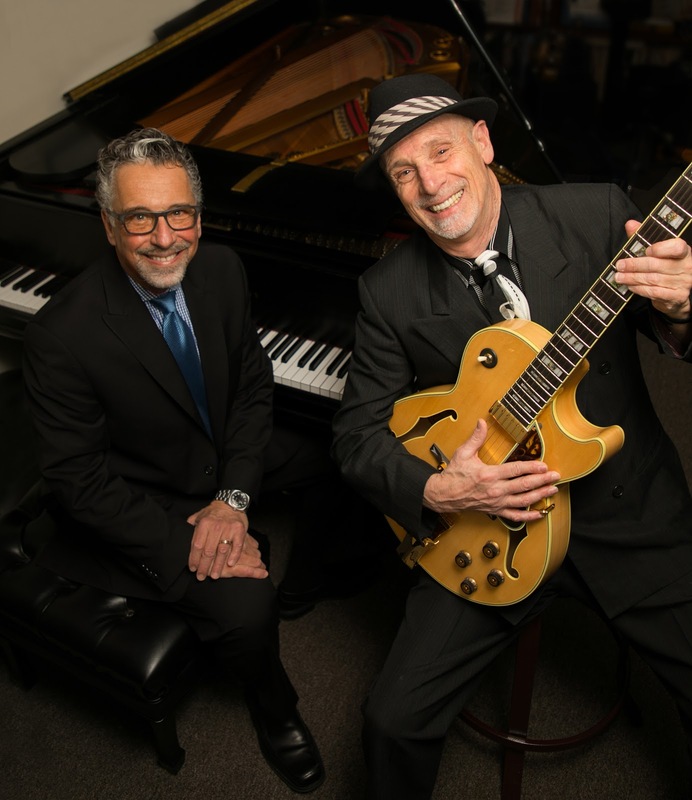 The concert takes place at the Bickford Theatre on Thursday, April 5, at 7:30 p.m.
Start the weekend early with Tales and Tunes Together with Grover Kemble and Jerry Vezza on Thursday, April 5, at 7:30 p.m. Tickets are $20 in advance and $25 at the door and may be purchased online at morrismuseum.org, by phone at (973) 971-3706, or in person at the Bickford Theatre Box Office. Morris Museum members pay $20 both in advance and at the door. The Morris Museum’s Bickford Theatre is located at 6 Normandy Heights Road in Morristown, NJ, and offers free parking and full accessibility. Box office hours for phone sales are Monday through Friday, 10:00 a.m. to 5:00 p.m. Walk-up hours are Tuesday through Friday, 11:00 a.m. to 5:00 p.m.
Photo: Jazz pianist Jerry Vezza and singer/songwriter Grover Kemble . Photo by Julianna Vezza.